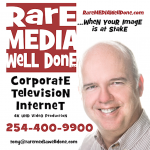 Rare MEDIA Well Done, LLC was proud to introduce a new and exciting magazine to area residents: Modern Texas Living magazine. The big city look and feel is only surpassed by its local content. Featuring the latest home decor trends, seasonal recipes, nutrition, fitness tips and so much more, Modern Texas Living magazine is definitely an entertaining read. Pick up a copy in the central Texas area today. 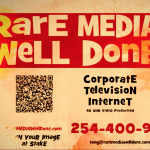 Rare MEDIA Well Done has been creating enticing, enthralling and captivating messages for many years for those clients on an affordable budget.